Create a full Audit trail right within your ticket! Help Desk notes can be added to calls in SupportDesk. This area of the software provides a communication channel for engineers and agents working on issues and requests. The Note automatically records the date and time of creation, the note Author and the Status of the call at the time the Note was written. Notes can be kept as an internal messaging system, so that service desk agents can only view and create them. Alternatively, you can enable Customers to view notes on tickets logged via their personal self-service web portal. This is a popular feature, as Customers can see that their issue is being worked on, and who the ticket is assigned to. This provides a level of transparency for customers. The help desk notes section can also be a means of recording an audit trail, displaying the chronological history of a ticket. 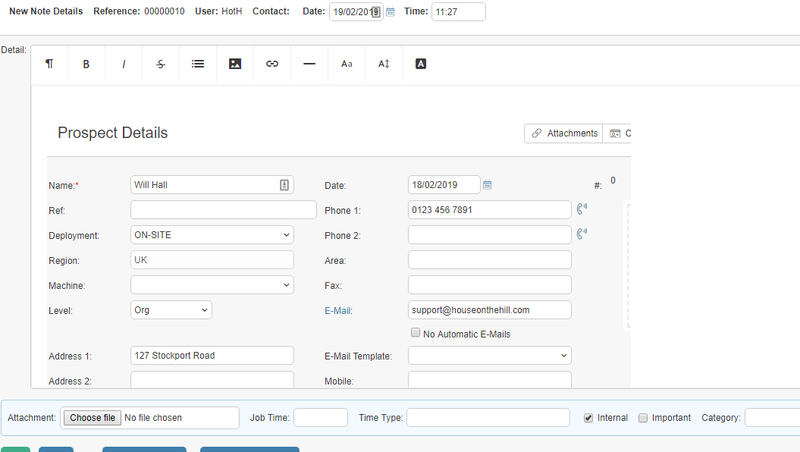 A Notes is automatically logged each time an update or change is made to the call, such as changing Priority, Status, Assignee, or if emails are sent from the call. The copy and paste of images feature is only available for use in the web browser version when using Internet Explorer 11. To copy and paste into a call Note, the user can simply select the Notes to be html, then paste an image using either right-click or Ctrl. V.
Keep internal or make visible to customers via the self-service portal. Use for an extra communication channel between service desk agents, engineers, managers and customers. 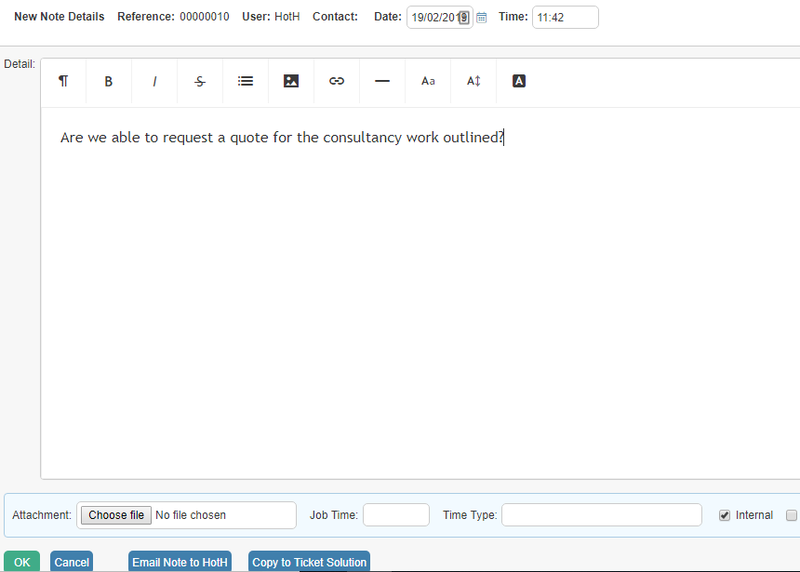 Generate an automatic audit trail of all changes that occur on the ticket. Provide a level of transparency to your customers. Ensure that all information is gathered on the call, so that a full progress history is created.